LOUISVILLE — The Presbyterian Mission Agency recently approved 12 mission programs grants to a diverse range of 1001 new worshiping communities. During its March meeting, the PMA’s Mission Development Resources Committee announced three $25,000 Growth Grants, given to “1001” communities that are growing a viable, sustainable PC(USA) related community; three Investment Grants given to worshiping communities making progress at living into their mission and ministry; and six Seed Grants to help new worshiping communities get started. Blank Slate (Lehigh, Trinity) holds spiritual formation gatherings for the “Nones” and “Dones”— those who have little or no experience or have left the church — in Emmaus, Pa. Several diverse small groups meet on a regular basis including intergenerational women, the musically inclined, divorcees, those who meet for a “Pub Talk” to discuss what matters in their lives and those who discuss a common reading to apply to their lives. CentraLatinx (Plains and Peaks, Rocky Mountains) continues to adapt, grow and respond to the needs and challenges facing a diverse Hispanic Latino community in Longmont, Colo. The group has extended its outreach to those who have lived in the area for some time and to new immigrants. It’s started a home Bible study with new families and offers bilingual worship services and Sunday school classes for children. Centro Familiar Cristiano (Greater Atlanta, South Atlantic) serves immigrants who have arrived in Alpharetta, Ga. Some came from Puerto Rico and Florida after Hurricanes Irma and Maria in 2017. Others, from around the world, have children in college in the Deferred Action for Childhood Arrivals (DACA) program. Yet parents feel threatened that immigration officers will send them back to their home countries. Average worship attendance and participation has doubled in the last year. Centro hopes to work toward becoming a chartered congregation in the near future. 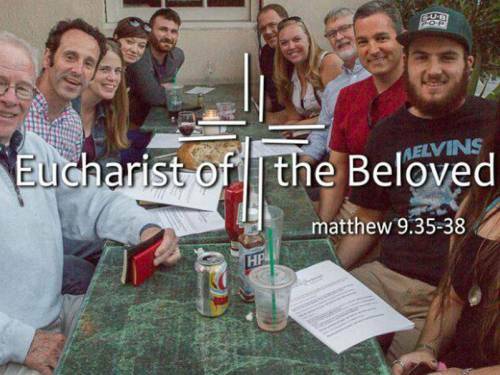 Eucharist of the Beloved (San Fernando, Southern California & Hawaii) in Old Town Pasadena, Calif., worships in a local pub and at two organizations that serve homeless persons and former gang and incarcerated men and women. 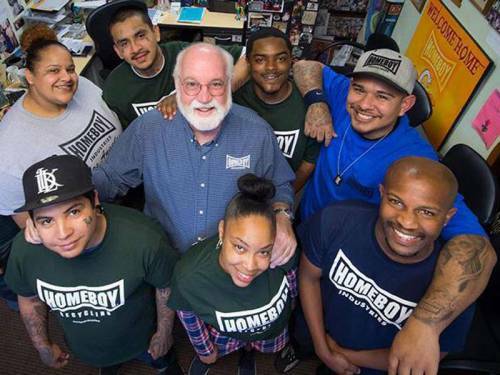 They’ve invited Northland Village Church, a “1001” community in Los Angeles, to partner in this ministry of building community, serving meals and helping form disciples. Mission Presbiteriana Emanuel (Long Island, Northeast) began post Hurricane Sandy, when the Presbyterian Church of the Moriches recognized how many Spanish-speaking (now bilingual) residents lived nearby. Most were Roman Catholic or Pentecostal or had no religious background — but when invited began to meet in the church manse living room. Now because of threats — many in the community are undocumented — they worship in the church sanctuary. Watertown Multi Ethnic Community (Northern New York, Northeast) started as a Filipino community in Rev. Sara Lee’s home around conversation and Korean food. The worshiping community now rents church space for worship and a meal on Sunday morning. More than 54 people joined the community for its one-year anniversary celebration. Many had never heard the gospel, either in their home country or in the U.S.
Casa de Dios Roca de Jacob (San Francisco, Pacific) is responding to the physical and spiritual needs of the Spanish-speaking community in Concord, Calif. Circles of Faith (Hudson River, Northeast) is reaching out to people who have felt disenfranchised from their prior congregations and are looking for healing and a welcoming place to worship inclusively in Pleasantville, N.Y.
Collaborative Dinners (San Joaquin, Pacific) has quarterly gatherings where 8-10 people, most of whom have never met before, come together to share a meal, conversation and inspirational experience in Fresno, Calif.
Ferncliff Forest Church (Arkansas, Trinity) worships outdoors at Ferncliff Camp and Conference Center in Little Rock, Ark., with those who long for a connection to both Christ and creation. Utmost Athletes (Cascades, Pacific) works with student athletes in Vancouver, Wash., in a disciple-making athletic training program to shift the culture in sports and team athletics away from “me” and self-success into a meaningful community that’s not solely focused on self. After running out of space, participants are now hosting their group gatherings at Columbia Presbyterian Church and at a local Lutheran congregation. The Well (Evening Prayer), (Philadelphia, Trinity) is an overnight shelter for women experiencing homelessness in Ardmore, Pa. The Well intentionally serves a small group of women, no more than 12 at a time. The women gather for evening prayer in a room described as “The Chapel” at Christ’s Presbyterian Church in Philadelphia. Mission Program Grants are made available through the Racial Equity & Women’s Intercultural Ministries of the Presbyterian Mission Agency. These grants support new worshiping communities’ and mid councils’ work to transform existing churches. In 2012 when the 220th General Assembly of the PC(USA) declared a commitment to a churchwide movement resulting in the creation of 1001 worshiping communities over the next 10 years. At a grassroots level, nearly 500 diverse new worshiping communities have formed across the nation.